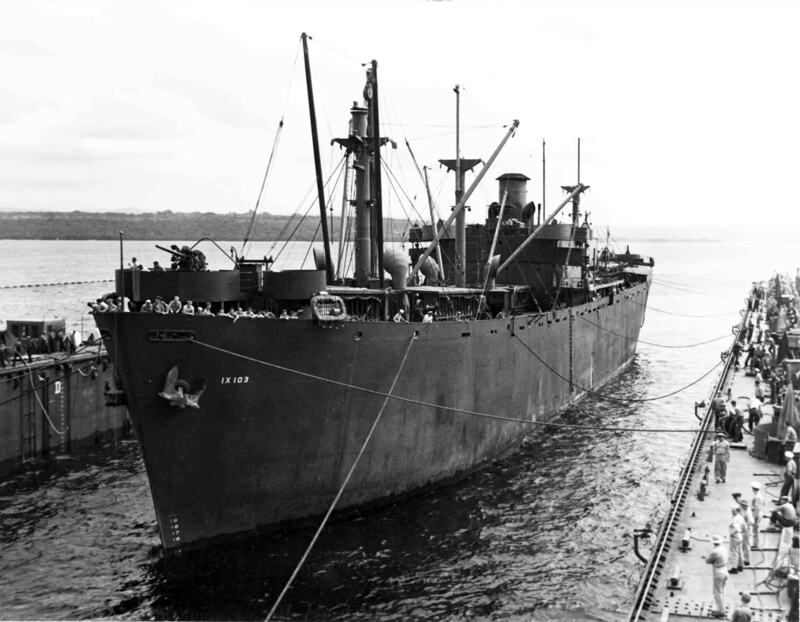 Laid down, 29 January1942, as SS Edgar Allan Poe, a Maritime Commission type (EC2-S-C1) hull, under Maritime Commission contract (MCE-186) at Oregon Shipbuilding Corp., Portland, OR. 460k E.A. Poe (IX-103) entering USS ABSD-1 at Espiritu Santo, New Hebrides Islands for repairs, 3 June 1944.